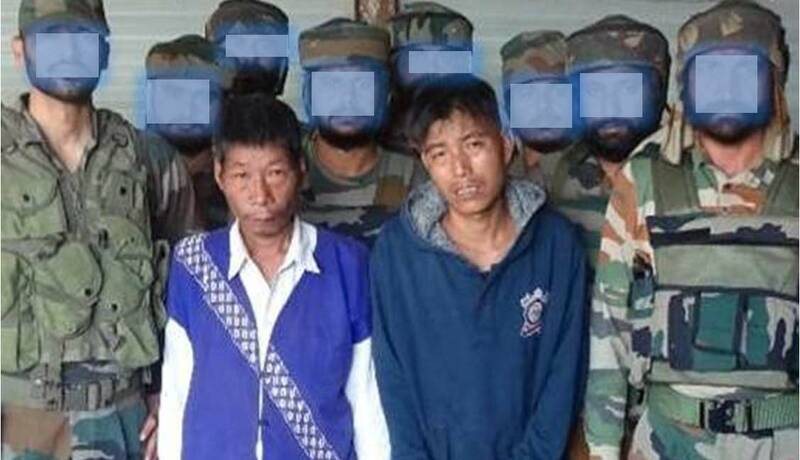 The troops of Assam Rifles in an operation against militants nabbed two NSCN (IM) rebels from a remote village in Longding district of Arunachal Pradesh. The nabbed rebels have been identified as Akham Wangsu and Banchoi Wangpon. Assam Rifles officials said the duo was apprehended based on specific intelligence report about them being present in the area and trying to carry out extortion activities. Post spot interrogation, the cadres admitted to being active part of the banned outfit and actively being involved in extortion activities in the district on behalf of Jante Josham, a self styled major of the NSCN (IM), said an AR official. Akham Wangsu joined the group in 2006 and underwent basic training at Hebron camp in Nagaland. He was previously apprehended in 2017 in Longding and had been out on bail since July this year. Some extortion notes and other incriminating documents were found on them. The security forces have been carrying out relentless operations in the southern part of Arunachal Pradesh and this apprehension is yet another blow to rampant extortion network being run by these banned outfits, the official claimed.